Kintyre Agricultural Society held their Winter show on Saturday 6th December at Machrihanish Airbase. There was a tremendous turn out for this event, which is only the second year the show has taken place on site. The 2014 show was held in the airbase’s largest property, the Gaydon hangar, by kind permission of Machrihanish Airbase Community Company. 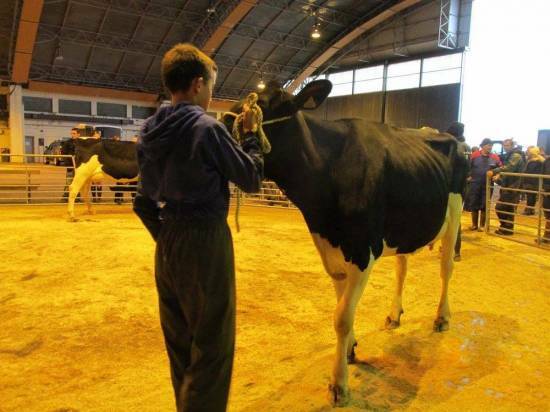 It was an excellent venue for this year’s event providing a large, open space to show the animals. The show was sponsored by KW Feeds. 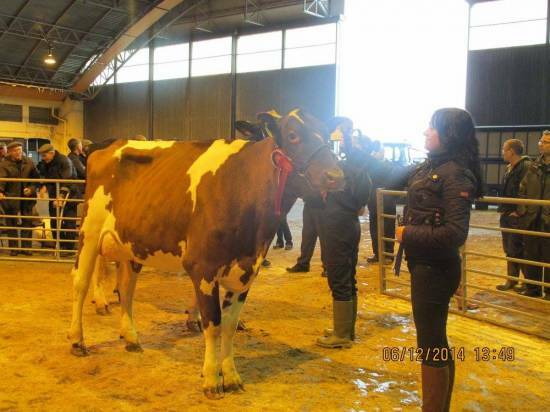 A tremendous show of 18 calves, 28 cows and heifers and 17 horses competed in front of a large crowd of spectators. The judges were Keith Rennie in the dairy section and Johnny Bonar in the horse section and their awards were as follows. 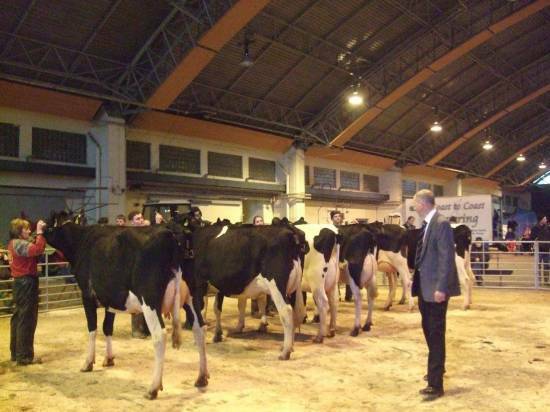 Champion Ayrshire: Archie Millar with his heifer Ballygreggan Clover 7 by Willsbro Razzle Red.